Description This limited service Choice Hotel offers meeting space for up to 126 people. 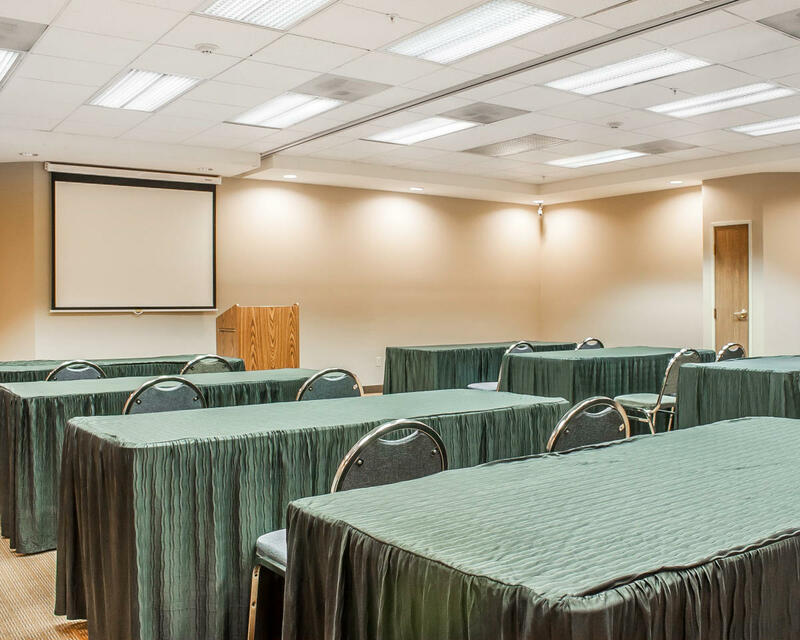 The hotel has one meeting room that can be divided into two separate spaces. The meeting room is located on the ground floor which is below the lobby. There is an elevator and the space is wheelchair accessible. There is no restaurant on-site however groups are welcome to utilize the caterer of their choice or for events that call for delegates to be on their own for meals, an International House of Pancakes restaurant is adjacent the hotel well within walking distance.